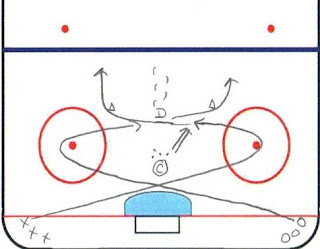 Two days ago we sent you a link to the first video of a 3 part series on off-ice training for hockey. The topic was periodization for hockey; a weightlifting technique that helps keep strength gains consistent, and let’s you avoid plateaus. 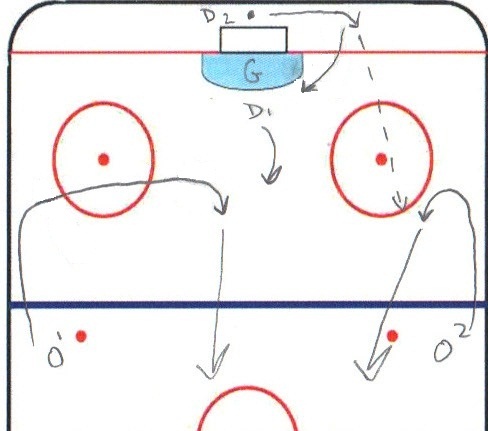 The video was a huge hit, and we’ve had a lot of very positive feedback about it! 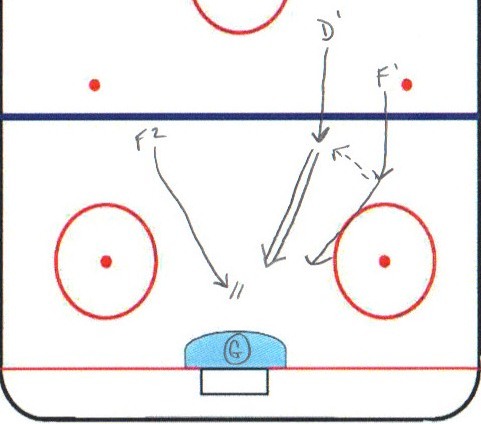 With one player each at Positions 2 and 3 (both just inside the blueline) and 4, the rest of the team starts at Position 1. 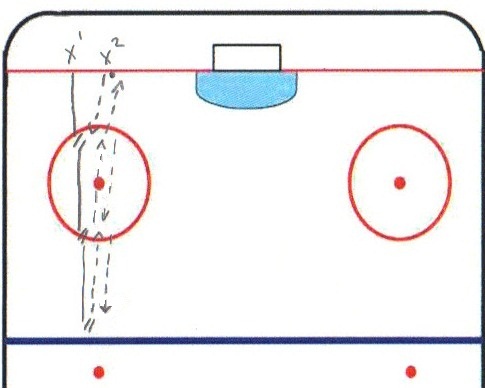 The dashed line represents puck movement, while the solid line represents player movement.This drill is a great all-around tool because it combines all major aspects of the offensive game: passing, skating and shooting. 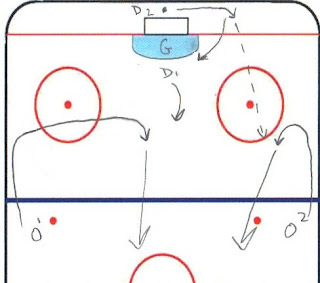 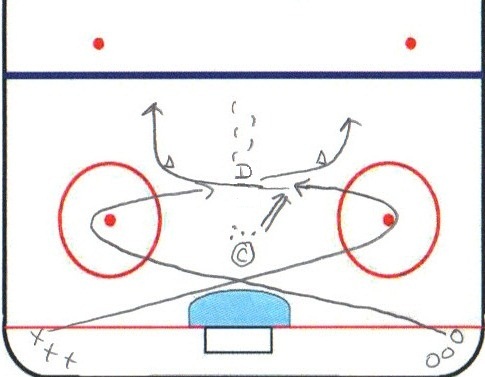 After the goalie has been warmed up, run this drill before moving on to more complicated ones.